Sometimes you hear the first chords of a song and you know it’s going to be great. 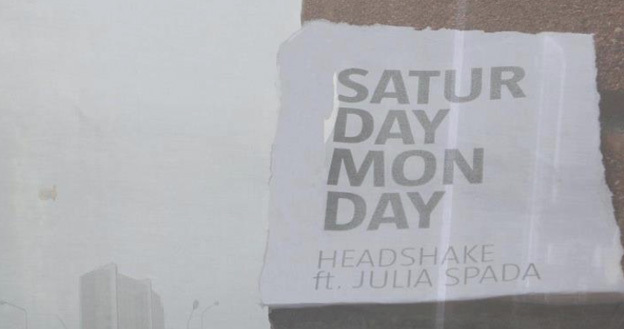 This happened with „Headshake“, which has it’s own, unique style of slow dub-beats, a piano and the perfecty fitting vocals of Julia Spada. But then it is not easy to get more details from the net about Saturday , Monday. It is a project of DJ Ludvig Parment from Sweden and the debut album „The road the ocean and the end“ is supposed to be released in 2013. This song is on heavy rotation since 2 days now and we’re looking forward to hear more from this project. Saturday, Monday did also a dubstep bootleg remix of Lykke Li’s „Love out of lust“.